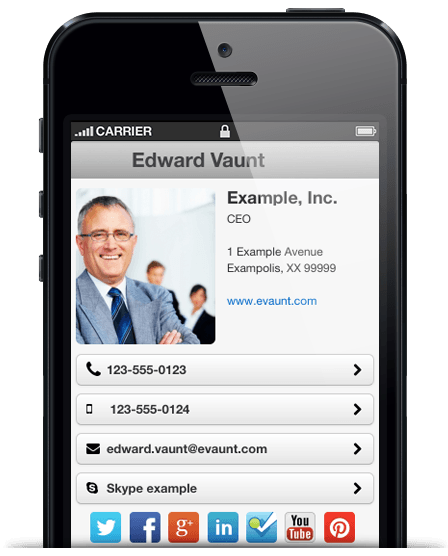 eVaunt lets you create a digital business card for yourself, or your company's employees, with a unique web page address and a simple, responsive design optimised for viewing on mobile devices. Free for as many cards as you like. Create multiple cards under one account. Edit your card details at any time. Optimised for mobile, tablet and desktop. Upload a profile photo, display social networking icons, embed a Google Map. Get a free short URL for your account. Set up unlimited names under your URL. ...plus more features coming soon!